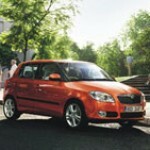 The first generation of Skoda Fabia appeared in the market at the end of 1999. 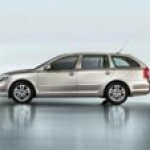 From now on the history of one of the most popular models in a line of Skoda began. Having won hearts of millions of motorists around the world, Fabia opens the new page in the development. 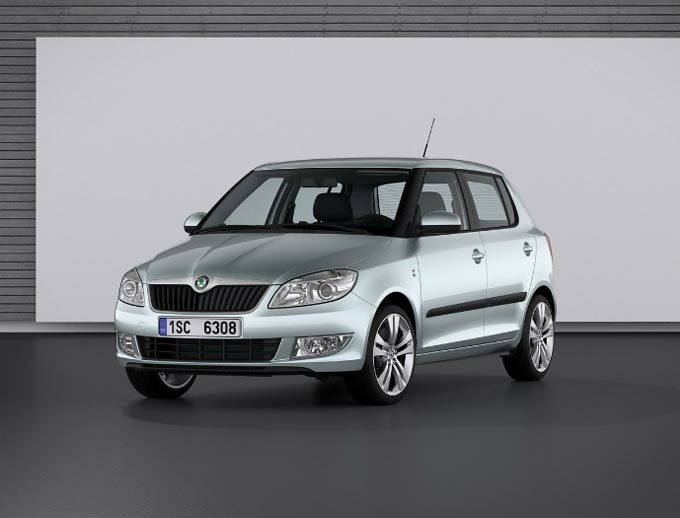 Today to your attention the updated Skoda Fabia facelift is offered. The main changes concerned design of forward part of the car. New colors of a body and options of wheels, a new interior which does the car even more elegant and perfect became available. The new person Fabia Fabia underwent modernization of appearance which result was an updated design of forward part of the car. Vertical lines were replaced by the horizontal. There were new colors of coloring of a body and new rims. Changes concerned also a car interior. Fabia simply "looked younger". On a choice four petrol engines with power from 44 kW to 77 kW are offered. The option with more powerful engine can also be ordered from 6-staged automatic transmission of Tiptronic. Updatings of design made appearance of Fabia more dynamic and inspiring confidence. The horizontal line of a bumper with a new front grille both the dark "varnished" lobbies and lateral racks and a cowl, and also a new form of the main and fog lights with the Daylight function visually expanded forward part of the car. The color palette was replenished with blue Pacific blue (not metallic) and green Rallye green (new color). The line of rims includes 16-inch light-alloy wheels of Elba and Comet, and also new overlays of Comoros or Sattellite for steel disks of 14 and 15 inches in size, respectively now. For the first time Fabia can be ordered with railings on a roof (black color or the combined execution in black and silvery flowers). The car interior therefore not only the level of comfort of passengers increased underwent considerable changes, but also functionality and controllability of the car improved. New steering wheels with four and three spokes facilitate control of the audio system and phone. The interior of the car became more attractive at the expense of the dashboard with new functions and new governing bodies, and also the updated graphic design. Successfully the control panels the conditioner which are turning on advanced buttons look. Among new options of a covering – Domino and Chess, and also Drops Blue. Forward fog lights with the Daylight function have a new form and can be in addition supplied with function of angular lighting ("Corner"). The multimedia socket MDI (installed by request) allows to connect by means of a cable external devices iPod, Aux-in (a nest of 3,5 mm), USB and pass the USB players supporting the formats MP3, WMA, OGG and AAC. The block of the audio system differs in the improved design and has new functions. The Blues radio tape recorder with the built-in compartment for storage of accessories in the lower section turns on the CD player capable to reproduce both usual audiodisks, and disks in the MP3 and WMA formats now. The standard elements providing comfort are electrically adjustable external rear-view mirrors, power windows and the central lock with remote control. The Climatronic air conditioning system with an electronic control system provides the accelerated otpotevaniye of glasses and fast removal of frost. The new audio system will play back your favourite music. Choose the equipment according to the way of life. Simplicity – guarantee of perfection. If you agree with this statement, you will suit Classic option with an interior of gray Stone gray color or blue color. You have higher ambitions? Ambiente complete set with an interior of Domino of black or gray color has to interest you. For fans of luxury and elegance Elegance complete set Chess interior, and also other options of an interior depending on the installed additional equipment is offered. The dashboard made of material pleasant to the touch turns on the multipurpose MaxiDOT display; the speedometer and a tachometer have the effective chromeplated frames. Forward and back sitting, and also doors are equipped with capacious compartments for storage of various things and accessories. Requirements to elements of active and passive safety of new cars become more and more strict. 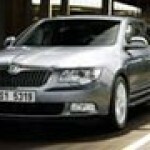 The answer to this tendency is application on Skoda cars of the most modern elements of safety. At operation the head safety cushion creates a barrier along all lateral section of salon. Thus, these pillows protect passengers on forward and back sitting from serious injuries. Projector halogen headlights underwent technical changes. Also their design changed. For a driving beam on headlight inside the independent reflector while for a passing beam the separate projector module is installed is provided now. Active surfaces of headlights that provided improvement of lighting of the road are increased optically. In case of accident the alarm lamp and lamps of illumination of salon automatically join, and the system of the central lock unlocks locks of all doors. For decrease in danger of ignition the fuel pump is automatically switched off and supply of fuel from a fuel tank is blocked.